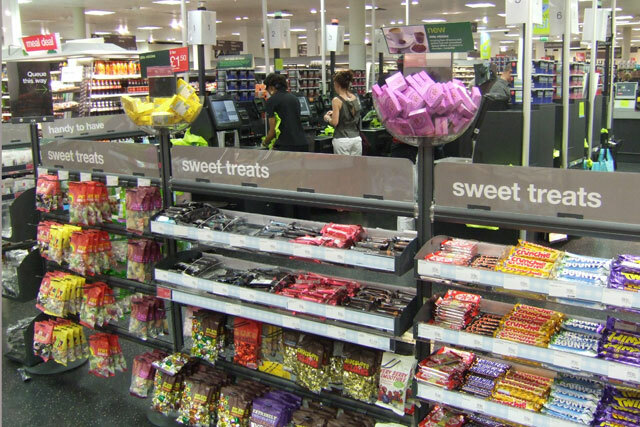 Confectionery brands are facing renewed pressure to take responsibility for their strategic positioning at check-outs, after the Government's new public health minister termed the issue "an area for action". Jane Ellison, the coalition Government’s public health minister, said in the Commons yesterday: "There is evidence that the majority of food promoted at checkouts and queuing areas is less healthy than elsewhere, and that foods sold at impulse purchase points such as checkouts experience an uplift in sales." Ellison added: "We have identified food promotion as an area for action under the Responsibility Deal, and will be discussing with the food industry actions it might take to reduce exposure to marketing and promotion of less healthy food." The comments contrast with former public health minister Anna Soubry’s stance on the issue. Soubry previously said she understood that some parents found it difficult not to give in to their children’s demands for sweets at checkouts, although she didn’t find it a problem – "I just said 'no' to my children". A Department of Health spokesperson said: "We have been clear that legislation is not necessary and that the voluntary approach through the Responsibility Deal is working. "It has already significantly reduced artificial trans-fat, calories and salt in foods, and set-up consistent front-of-pack food labelling, which all the major supermarkets and several big manufacturers have signed up to. "That is why we have identified food promotion as an area for action under the Responsibility Deal, and will be discussing with the food industry actions it might take to reduce exposure to marketing and promotion of less healthy foods." However, just last week, campaigners expressed disappointment that so few companies have signed up to a Government pledge aimed at reducing the nation’s saturated fat intake, despite Nestlé, Tesco and Subway all putting their names to the deal. Almost half of the food manufacturing and retail industry has signed up to the ‘Responsibility Deal Saturated Fat Reduction Pledge’, by agreeing to reduce the amount of saturated fat in food and change their products to make them healthier.